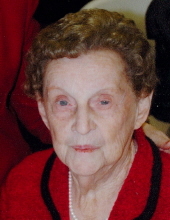 La Grange-Charlotte West Murphy, 94, transitioned to her eternal reward on Sunday, January 27, 2019. The youngest of 11 children, Charlotte was born November 26, 1924 to the late Zeb Vance West and Bessie Kilpatrick West. Her husband of 55 years, Zeb Vance “Z.V.” Murphy, Jr. preceded her in death on June 30 2002. For Charlotte, family was everything. She and Z.V. worked hard to build a life together and raise their two children, Carol and Clifton. As a homemaker, she put great emphasis on the state of her house and the wellbeing of her husband and children. Charlotte was the best mother in all the world. Even as Carol and Clifton grew into adults, she always showed her love and concern for them. For Charlotte, though, the sun rose and set on her beloved grandson, Patrick. She loved to spoil and dote on him, and his presence would make her day. If you knew Charlotte, you knew she loved to talk. Nothing was better to her than good conversation with friends, family, or even strangers. If Charlotte said it, she meant it. She was known to tell things like they were and she always kept her word. Charlotte was happiest when friends and family were nearby. Her children will long remember the taste of her fried chicken and chocolate chess pies, their long and loving talks, and the love she has shown them throughout their lives. A service to celebrate Charlotte’s life will be held Tuesday, January 29, 2019 at 6 p.m. at Rouse Funeral Home. Burial will be Wednesday at 11 a.m. at Fairview Cemetery. Charlotte is survived by her daughter, Carol Murphy; son, Clifton Murphy; and a grandson, Patrick Murphy. Family and friends will be received Tuesday following the service. Online condolences may be expressed at www.rousefh.com. Memorials in Charlotte’s memory may be made to La Grange United Methodist Church Music Ministry, 213 South Caswell Street, La Grange, NC 28551 or Kitty Askins Hospice Center, 107 Handley Park Court, Goldsboro, NC 27534. Arrangements are entrusted to Rouse Funeral Home, La Grange. To send flowers or a remembrance gift to the family of Charlotte West Murphy, please visit our Tribute Store. "Email Address" would like to share the life celebration of Charlotte West Murphy. Click on the "link" to go to share a favorite memory or leave a condolence message for the family.